These adorable cake pops are almost too cute to eat. 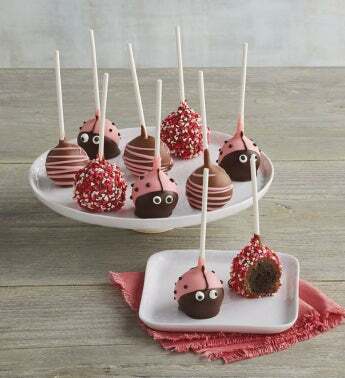 Covered in white and milk chocolate, these tasty treats are decorated with candy toppings and chocolate drizzle to look like ladybugs. They make a wonderful spring gift for someone special or a tasty treat to enjoy in the warmer weather.